Having access to the expenses part of our Mobile App enables you to track all your expenses as and when they occur. This allows costs to be assigned to specific jobs and allows you to see the true profit of every job and customer. Assign all your expense costs to your jobs and report and manage operative payments whilst they’re out on the job whether it be petrol money or receipts for new materials. With expenses you can create billable or non-billable expenses, so you have a log of each expense whenever you made need it. You can track all of your staffs and subcontractor’s costs and keep a history on the system, so you know what your company is paying out. You can assign expenses to a project, invoice or purchase order so you can make quick work or seeing what needs to be paid and calculate profit accordingly. We have many reports available for expenses on the system, for example, you can see how much a job cost you to complete and how much profit you made within a week, month or year. 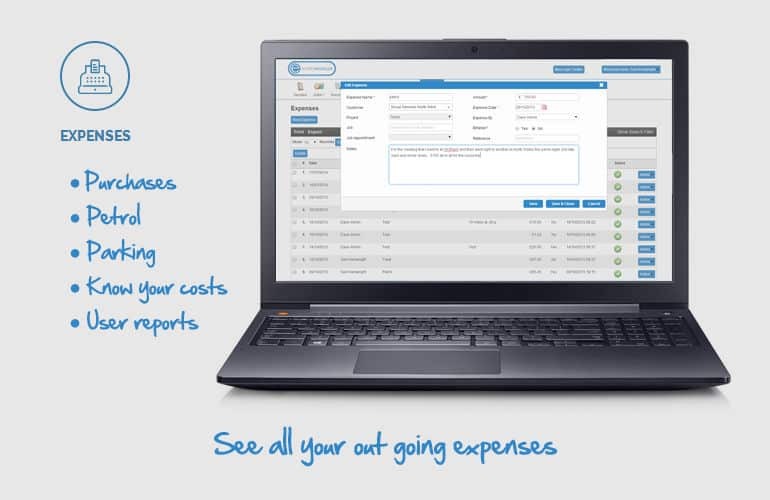 If you would like to hear more about our expenses feature, please feel free to call our office directly or pop us over an email, we would love to chat and book in a free online demonstration of the software and discuss this feature in more depth.